Exclusive! 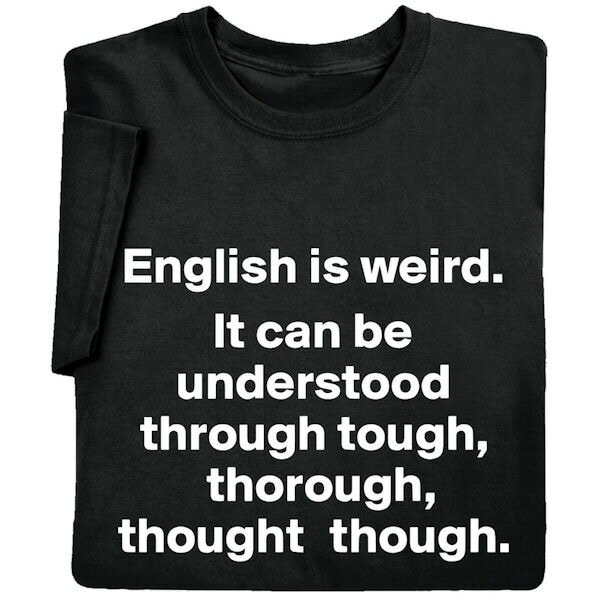 This shirt begs to be read aloud. What kind of language has five words that look so similar but sound so different? A weird language, that's what kind. Black sweatshirt is 50/50 cotton blend, T-shirt is preshrunk 100% cotton. Sizes S-3XL. Imported.